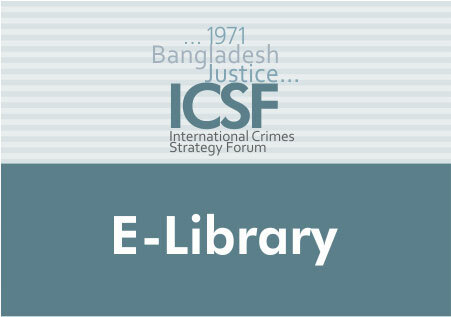 [ICSF] E-LibraryThesis Unpublished WorkIn Absentia War Crimes Trials: A Just Means to Enforce International Human Rights? In Absentia War Crimes Trials: A Just Means to Enforce International Human Rights? The United Nations has created an International Tribunal to adjudicate cases of alleged war crimes arising out of the dissolution of the Former Yugoslavia. Under its authorizing statute and rules of procedure, the International Tribunal cannot try suspected war criminals in absentia. This thesis argues that a modified civil-law style default trial procedure, in which the absent accused is represented by appointed counsel at a complete hearing but still has the right to a new trial de novo, would be more effective in compelling absent accused to come before the International Tribunal than its hybrid trial process.